PULLMAN — Gotham Greens — it's a good thing, says Martha. 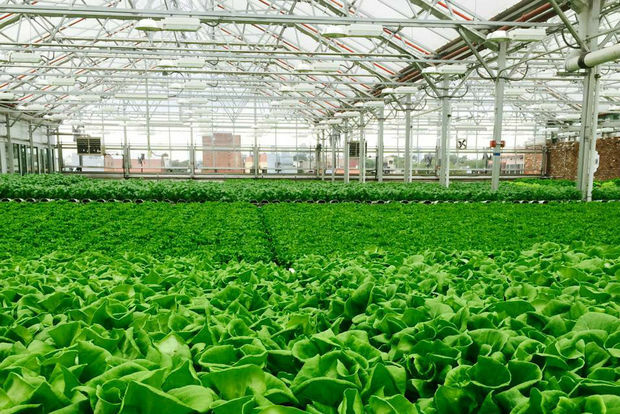 What's been called the world's largest rooftop farm, a 75,000-square-foot hyrdoponic greenhouse sitting atop the Method Products factory at 720 E. 111th St., just won the jackpot of endorsements: a Martha Stewart American Made Award. Martha's stamp of approval comes as the company begins distribution of its produce to Chicago stores next week. Spokeswoman Nicole Baum said Whole Foods Market and Peapod are the first recipients of Gotham Greens' greens and herbs, with "many more" local retailers to be added in the coming weeks. Brooklyn-based Gotham Greens built its first commercial rooftop greenhouse in New York City in 2011 and has since built two more. In October 2014, the company announced plans for its Chicago greenhouse, which is larger than a pro football field. It has the capacity to grow up to a million pounds of leafy greens and herbs annually, but using a fraction of the land and water of conventional farming. The Martha Stewart American Made Awards, now in their fourth year, recognize artisans and small businesses who make well-designed goods and have an impact on their communities.This year's 10 recipients range from a family-run sock mill in Alabama to a Florida grower of rare tropical fruit. In a statement, Stewart cited Gotham Greens' "technologically sophisticated" greenhouses as a way to "create a sustainable mass food source." Gotham Greens co-founders Viraj Puri, Eric Haley and Jennifer Nelkin Frymark will accept the award Saturday in New York. Besides getting to hobknob with Stewart and other luminaries in the design, food, technology and media fields, the award winners get $10,000 and a feature in Martha Stewart Magazine. Purij said the money will go toward community and school outreach programs the company is developing in partnership with the Greater Chicago Food Depository, the chef-run nonprofit Pilot Light and the Greater Roseland West Pullman Food Network, among others.